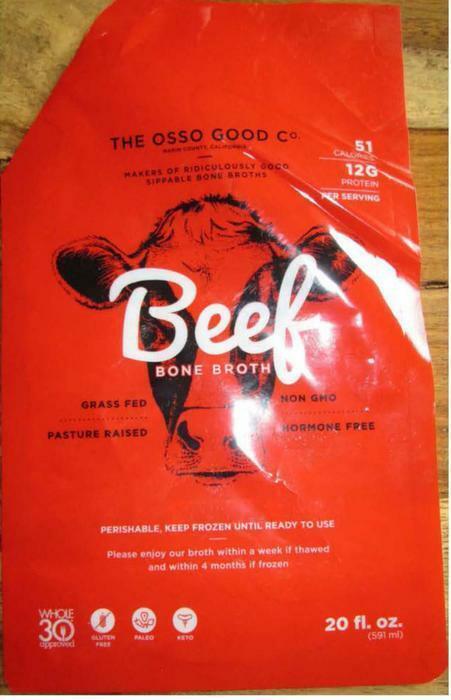 The Osso Good Co., of San Rafael, Calif., is recalling approximately 1,210 pounds of beef and spicy pork bone broth that did not undergo federal inspection. The recalled products were shipped to retail stores in Arizona, California, Colorado, New York and Washington. Consumers with questions about the recall may contact Meredith Cochran at (415) 988-4808 or by email at hello@ossogoodbones.com.